Onboard Communications System, Keyless Start, ENGINE: 3.6L V6 24V VVT, SPORT APPEARANCE PACKAGE, TRANSMISSION: 8-SPEED AUTOMATIC 850RE... iPod/MP3 Input, Satellite Radio. Touring trim. FUEL EFFICIENT 30 MPG Hwy/19 MPG City! SPORT APPEARANCE PACKAGE Firestone Brand Tires, Tires: 245/45R20 BSW AS Performance, Wheels: 20" x 8.0" Black Noise Aluminum, Black Chrome Surround 300S Grille, Black Headlamp Bezels, Black LED Taillamps, Bright Chrome Wing Badge - Black Insert, Compact Spare Tire, Gloss Black DLO Surround Molding, ENGINE: 3.6L V6 24V VVT (STD), TRANSMISSION: 8-SPEED AUTOMATIC 850RE (STD). Chrysler Touring with Gloss Black exterior and Black interior features a V6 Cylinder Engine with 292 HP at 6350 RPM*. SPORT APPEARANCE PACKAGE Firestone Brand Tires, Tires: 245/45R20 BSW AS Performance, Wheels: 20" x 8.0" Black Noise Aluminum, Black Chrome Surround 300S Grille, Black Headlamp Bezels, Black LED Taillamps, Bright Chrome Wing Badge - Black Insert, Compact Spare Tire, Gloss Black DLO Surround Molding, ENGINE: 3.6L V6 24V VVT (STD), TRANSMISSION: 8-SPEED AUTOMATIC 850RE (STD). Chrysler Touring with Velvet Red Pearl Coat exterior and Black interior features a V6 Cylinder Engine with 292 HP at 6350 RPM*. Back-Up Camera, Satellite Radio, Onboard Communications System, Dual Zone A/C. QUICK ORDER PACKAGE 22F TOURING L Engine: 3.6L V6 24V VVT, Transmission: 8-Speed Automatic 845RE, 4 Wheel Independent Suspension Comfort, Heated Front Seats, Leather Trim Seats, Illuminated Rear Cupholders, Power Front Driver/Passenger Seats, Compact Spare Tire, Security Alarm, 300 PREMIUM GROUP SiriusXM Travel Link, 5-Year SiriusXM Travel Link Service, 5-Year SiriusXM Traffic Service, ParkSense Front/Rear Park Assist System, SiriusXM Traffic Plus, Radio: Uconnect 4C Nav w/8.4" Display, Exterior Mirrors Courtesy Lamps, 552 Watt Amplifier, Auto Dim Exterior Driver Mirror, Exterior Mirrors w/Supplemental Signals, Universal Garage Door Opener, Power Multi Function Mirror Manual Fold, GPS Navigation, 10 Beats Premium Speakers w/Subwoofer, Remote Start System, LED Fog Lamps, Blind Spot & Cross Path Detection, DUAL-PANE PANORAMIC SUNROOF, WHEELS: 20" X 8.0" POLISHED ALUMINUM Tires: P245/45R20 BSW AS Performance, Compact Spare Tire, TRANSMISSION: 8-SPEED AUTOMATIC 845RE (STD), ENGINE: 3.6L V6 24V VVT (STD). Touring trim. FUEL EFFICIENT 30 MPG Hwy/19 MPG City! Onboard Communications System, Keyless Start, ENGINE: 3.6L V6 24V VVT, SPORT APPEARANCE PACKAGE, TRANSMISSION: 8-SPEED AUTOMATIC 850RE... iPod/MP3 Input, Satellite Radio. Back-Up Camera, Satellite Radio, iPod/MP3 Input, Onboard Communications System, Keyless Start. SPORT APPEARANCE PACKAGE Firestone Brand Tires, Tires: 245/45R20 BSW AS Performance, Wheels: 20" x 8.0" Black Noise Aluminum, Black Chrome Surround 300S Grille, Black Headlamp Bezels, Black LED Taillamps, Bright Chrome Wing Badge - Black Insert, Compact Spare Tire, Gloss Black DLO Surround Molding, ENGINE: 3.6L V6 24V VVT (STD), TRANSMISSION: 8-SPEED AUTOMATIC 850RE (STD). Chrysler Touring with Bright White Clear Coat exterior and Black interior features a V6 Cylinder Engine with 292 HP at 6350 RPM*. EPA 30 MPG Hwy/19 MPG City! Alloy Wheels, Back-Up Camera, Satellite Radio, iPod/MP3 Input, Onboard Communications System. Touring trim. Back-Up Camera, Satellite Radio, iPod/MP3 Input, Onboard Communications System, Aluminum Wheels. Chrysler Touring with Electric Blue Pearl Coat exterior and Black interior features a V6 Cylinder Engine with 292 HP at 6350 RPM*. ADVANCED SAFETYTEC GROUP Lane Departure Warning Plus, ParkSense Front/Rear Park Assist w/Stop, Automatic High Beam Headlamp Control, Parallel & Perp Park Assist w/Stop, Rain Sensitive Windshield Wipers, Adaptive Cruise Control w/Stop & Go, Advanced Brake Assist, Full Speed Forward Collision Warning Plus, 360 Surround View Camera System, TIRE & WHEEL GROUP Wheels: 18" x 7.5" Painted Aluminum, Michelin Brand Tires, Tires: 235/60R18 BSW AS, ENGINE: 3.6L V6 24V VVT UPG I W/ESS (STD), TRANSMISSION: 9-SPEED 948TE AUTOMATIC (STD). Chrysler Touring L Plus with Velvet Red Pearl Coat exterior and Black/Alloy interior features a V6 Cylinder Engine with 287 HP at 6400 RPM*. 3rd Row Seat, DVD, NAV, Heated Leather Seats, Rear Air, Power Liftgate, RADIO: UCONNECT 4C NAV W/8.4" DISPLAY... TRANSMISSION: 9-SPEED 948TE AUTOMATIC... Quad Seats, Alloy Wheels. Touring L trim. FUEL EFFICIENT 28 MPG Hwy/19 MPG City! SINGLE REAR OVERHEAD DVD SYSTEM overhead 10" LCD TFT screen, single-disc DVD player, AUX inputs (HDMI, USB, RCA Jack, video camera, CD, MP3 and video games), 2 headphones and a remote control, RADIO: UCONNECT 4C NAV W/8.4" DISPLAY SiriusXM Travel Link, 5-Year SiriusXM Travel Link Service, Disassociated Touchscreen Display, 5-Year SiriusXM Traffic Service, 4G LTE Wi-Fi Hot Spot, 1-Year SiriusXM Guardian Trial, HD Radio, SiriusXM Traffic Plus, For Details, Visit DriveUconnect.com, GPS Navigation, 8.4" Touchscreen Display, TRANSMISSION: 9-SPEED 948TE AUTOMATIC (STD), ENGINE: 3.6L V6 24V VVT UPG I W/ESS (STD). 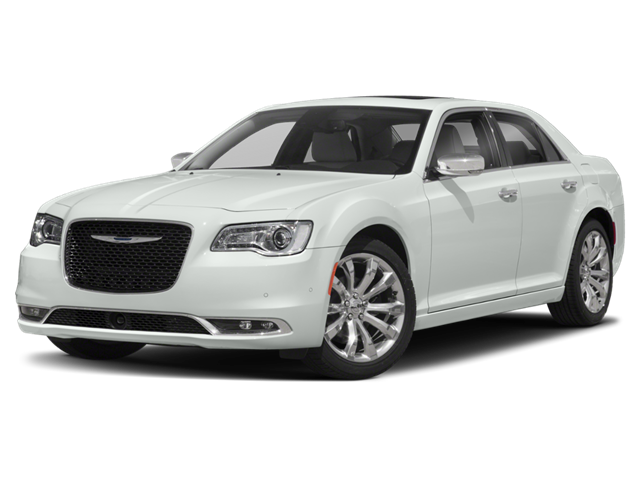 Chrysler Touring L with Bright White Clear Coat exterior and Black/Alloy interior features a V6 Cylinder Engine with 287 HP at 6400 RPM*. SINGLE REAR OVERHEAD DVD SYSTEM overhead 10" LCD TFT screen, single-disc DVD player, AUX inputs (HDMI, USB, RCA Jack, video camera, CD, MP3 and video games), 2 headphones and a remote control, RADIO: UCONNECT 4C NAV W/8.4" DISPLAY SiriusXM Travel Link, 5-Year SiriusXM Travel Link Service, Disassociated Touchscreen Display, 5-Year SiriusXM Traffic Service, 4G LTE Wi-Fi Hot Spot, 1-Year SiriusXM Guardian Trial, HD Radio, SiriusXM Traffic Plus, For Details, Visit DriveUconnect.com, GPS Navigation, 8.4" Touchscreen Display, TRANSMISSION: 9-SPEED 948TE AUTOMATIC (STD), ENGINE: 3.6L V6 24V VVT UPG I W/ESS (STD). Chrysler Touring L with Jazz Blue Pearl Coat exterior and Black/Alloy interior features a V6 Cylinder Engine with 287 HP at 6400 RPM*. Heated Leather Seats, NAV, DVD, 3rd Row Seat, Rear Air, Power Liftgate, RADIO: UCONNECT 4C NAV W/8.4" DISPLAY... TRANSMISSION: 9-SPEED 948TE AUTOMATIC... ENGINE: 3.6L V6 24V VVT UPG I W/ESS. Touring L trim. EPA 28 MPG Hwy/19 MPG City! SINGLE REAR OVERHEAD DVD SYSTEM overhead 10" LCD TFT screen, single-disc DVD player, AUX inputs (HDMI, USB, RCA Jack, video camera, CD, MP3 and video games), 2 headphones and a remote control, RADIO: UCONNECT 4C NAV W/8.4" DISPLAY SiriusXM Travel Link, 5-Year SiriusXM Travel Link Service, Disassociated Touchscreen Display, 5-Year SiriusXM Traffic Service, 4G LTE Wi-Fi Hot Spot, 1-Year SiriusXM Guardian Trial, HD Radio, SiriusXM Traffic Plus, For Details, Visit DriveUconnect.com, GPS Navigation, 8.4" Touchscreen Display, TRANSMISSION: 9-SPEED 948TE AUTOMATIC (STD), ENGINE: 3.6L V6 24V VVT UPG I W/ESS (STD). Chrysler Touring L with Granite Crystal Met. Clear Coat exterior and Black/Black/Black interior features a V6 Cylinder Engine with 287 HP at 6400 RPM*. Third Row Seat, DVD Entertainment System, Navigation, Heated Leather Seats, Rear Air, Power Liftgate, RADIO: UCONNECT 4C NAV W/8.4" DISPLAY... TRANSMISSION: 9-SPEED 948TE AUTOMATIC... Touring L trim. EPA 28 MPG Hwy/19 MPG City! SINGLE REAR OVERHEAD DVD SYSTEM overhead 10" LCD TFT screen, single-disc DVD player, AUX inputs (HDMI, USB, RCA Jack, video camera, CD, MP3 and video games), 2 headphones and a remote control, RADIO: UCONNECT 4C NAV W/8.4" DISPLAY SiriusXM Travel Link, 5-Year SiriusXM Travel Link Service, Disassociated Touchscreen Display, 5-Year SiriusXM Traffic Service, 4G LTE Wi-Fi Hot Spot, 1-Year SiriusXM Guardian Trial, HD Radio, SiriusXM Traffic Plus, For Details, Visit DriveUconnect.com, GPS Navigation, 8.4" Touchscreen Display, TRANSMISSION: 9-SPEED 948TE AUTOMATIC (STD), ENGINE: 3.6L V6 24V VVT UPG I W/ESS (STD). Chrysler Touring L with Billet Silver Metallic Clear Coat exterior and Black/Alloy interior features a V6 Cylinder Engine with 287 HP at 6400 RPM*. TIRE & WHEEL GROUP Wheels: 18" x 7.5" Painted Aluminum, Nexen Brand Tires, Tires: P235/60R18 BSW AS, BLACK STOW N PLACE ROOF RACK, TRANSMISSION: 9-SPEED 948TE FWD AUTOMATIC (STD), ENGINE: 3.6L V6 24V VVT UPG I W/ESS (STD), SECURITY GROUP Remote Start System, Security Alarm. Chrysler Touring Plus with Bright White Clear Coat exterior and Black/Alloy interior features a V6 Cylinder Engine with 287 HP at 6400 RPM*. DVD, Heated Leather Seats, 3rd Row Seat, Rear Air, SINGLE REAR OVERHEAD DVD SYSTEM, TRANSMISSION: EFLITE SI-EVT, ENGINE: 3.6L V6 HYBRID, Power Liftgate, Quad Seats, Alloy Wheels. Hybrid Touring L trim. SINGLE REAR OVERHEAD DVD SYSTEM overhead 10" LCD TFT screen, single-disc DVD player, AUX inputs (HDMI, USB, RCA jack, video camera, CD, MP3 and video games), 2 IR headphones and a remote control, TRANSMISSION: EFLITE SI-EVT (STD), ENGINE: 3.6L V6 HYBRID (STD). Chrysler Hybrid Touring L with Bright White Clear Coat exterior and Black/Alloy interior features a V6 Cylinder Engine. 3rd Row Seat, DVD, NAV, Heated Leather Seats, TIRE & WHEEL GROUP, ADVANCED SAFETYTEC GROUP, TRANSMISSION: 9-SPEED 948TE AUTOMATIC... Quad Seats. Touring L Plus trim. FUEL EFFICIENT 28 MPG Hwy/19 MPG City! ADVANCED SAFETYTEC GROUP Lane Departure Warning Plus, ParkSense Front/Rear Park Assist w/Stop, Automatic High Beam Headlamp Control, Parallel & Perp Park Assist w/Stop, Rain Sensitive Windshield Wipers, Adaptive Cruise Control w/Stop & Go, Advanced Brake Assist, Full Speed Forward Collision Warning Plus, 360 Surround View Camera System, TIRE & WHEEL GROUP Wheels: 18" x 7.5" Painted Aluminum, Michelin Brand Tires, Tires: 235/60R18 BSW AS, ENGINE: 3.6L V6 24V VVT UPG I W/ESS (STD), TRANSMISSION: 9-SPEED 948TE AUTOMATIC (STD). Chrysler Touring L Plus with Bright White Clear Coat exterior and Toffee/Cognac/Alloy interior features a V6 Cylinder Engine with 287 HP at 6400 RPM*. Heated Leather Seats, Sunroof, NAV, DVD, 3rd Row Seat, HANDS FREE SLIDING DOOR & LIFTGATE GR... TIRE & WHEEL GROUP, 20 SPEAKER harman/kardon SOUND GROUP, Quad Seats. Touring L Plus trim. FUEL EFFICIENT 28 MPG Hwy/19 MPG City! TRI PANE PANORAMIC SUNROOF Power Open/Close Shade, TIRE & WHEEL GROUP Wheels: 18" x 7.5" Painted Aluminum, Michelin Brand Tires, Tires: 235/60R18 BSW AS, HANDS FREE SLIDING DOOR & LIFTGATE GROUP Hands Free Sliding Doors, Hands Free Power Liftgate, 20 SPEAKER harman/kardon SOUND GROUP 20 harman/kardon Speakers, 760 Watt Amplifier, TRANSMISSION: 9-SPEED 948TE AUTOMATIC (STD), ENGINE: 3.6L V6 24V VVT UPG I W/ESS (STD). Chrysler Touring L Plus with Velvet Red Pearl Coat exterior and Toffee/Cognac/Alloy interior features a V6 Cylinder Engine with 287 HP at 6400 RPM*. Entertainment System, Third Row Seat, Nav System, Heated Leather Seats, Rear Air, Power Liftgate, RADIO: UCONNECT 4C NAV W/8.4" DISPLAY... TRANSMISSION: 9-SPEED 948TE AUTOMATIC... EPA 28 MPG Hwy/19 MPG City! Touring L trim. SINGLE REAR OVERHEAD DVD SYSTEM overhead 10" LCD TFT screen, single-disc DVD player, AUX inputs (HDMI, USB, RCA Jack, video camera, CD, MP3 and video games), 2 headphones and a remote control, RADIO: UCONNECT 4C NAV W/8.4" DISPLAY SiriusXM Travel Link, 5-Year SiriusXM Travel Link Service, Disassociated Touchscreen Display, 5-Year SiriusXM Traffic Service, 4G LTE Wi-Fi Hot Spot, 1-Year SiriusXM Guardian Trial, HD Radio, SiriusXM Traffic Plus, For Details, Visit DriveUconnect.com, GPS Navigation, 8.4" Touchscreen Display, TRANSMISSION: 9-SPEED 948TE AUTOMATIC (STD), ENGINE: 3.6L V6 24V VVT UPG I W/ESS (STD). Chrysler Touring L with Brilliant Black Crystal Pearl Coat exterior and Black/Alloy interior features a V6 Cylinder Engine with 287 HP at 6400 RPM*. Heated Leather Seats, 3rd Row Seat, Sunroof, NAV, DVD, UCONNECT THEATER W/STREAMING, ADVANCED SAFETYTEC GROUP, TIRE & WHEEL GROUP, ENGINE: 3.6L V6 24V VVT UPG I W/ESS, Quad Seats. Limited trim. EPA 28 MPG Hwy/19 MPG City! UCONNECT THEATER W/STREAMING 3-Channel Video Remote Control, Seatback Video Screens, 220 Amp Alternator, High Definition Multimedia Interface, 115V Auxiliary Power Outlet, Video USB Port, 3-Channel Wireless Headphones, Blu-Ray/DVD Player/USB Port, TIRE & WHEEL GROUP Falken Brand Tires, Wheels: 20" x 7.5" Aluminum, Tires: 245/50R20 BSW AS (TYK), Locking Lug Nuts, ADVANCED SAFETYTEC GROUP Lane Departure Warning Plus, ParkSense Front/Rear Park Assist w/Stop, Automatic High Beam Headlamp Control, Parallel & Perp Park Assist w/Stop, Rain Sensitive Windshield Wipers, Adaptive Cruise Control w/Stop & Go, Advanced Brake Assist, Full Speed Forward Collision Warning Plus, 360 Surround View Camera System, ENGINE: 3.6L V6 24V VVT UPG I W/ESS (STD), TRANSMISSION: 9-SPEED 948TE AUTOMATIC (STD). Chrysler Limited with Velvet Red Pearl Coat exterior and Deep Mocha/Black/Dp Mocha interior features a V6 Cylinder Engine with 287 HP at 6400 RPM*. 3rd Row Seat, Rear Air, Back-Up Camera, Power Liftgate, TRANSMISSION: 9-SPEED 948TE FWD AUTOM... TIRE & WHEEL GROUP, SECURITY GROUP, Quad Seats, BLACK STOW N PLACE ROOF RACK. EPA 28 MPG Hwy/19 MPG City! Touring Plus trim. Third Row Seat, Quad Bucket Seats, Power Liftgate, Rear Air, Back-Up Camera. TIRE & WHEEL GROUP Wheels: 18" x 7.5" Painted Aluminum, Nexen Brand Tires, Tires: P235/60R18 BSW AS, BLACK STOW N PLACE ROOF RACK, TRANSMISSION: 9-SPEED 948TE FWD AUTOMATIC (STD), ENGINE: 3.6L V6 24V VVT UPG I W/ESS (STD), SECURITY GROUP Remote Start System, Security Alarm. Chrysler Touring Plus with Dk. Cordovan Pearl Coat exterior and Black/Alloy interior features a V6 Cylinder Engine with 287 HP at 6400 RPM*. Heated Seats, Keyless Start, Dual Zone A/C, TRANSMISSION: 8-SPEED AUTOMATIC 8HP70... COLD WEATHER GROUP, PERFORMANCE HANDLING GROUP, ENGINE: 5.7L V8 HEMI MDS VVT, Bluetooth, iPod/MP3 Input, Back-Up Camera. R/T trim. PERFORMANCE HANDLING GROUP High Performance Suspension, Ventilated Front Seats, Performance Steering, Tires: P245/45ZR20 AS Performance, Goodyear Brand Tires, High Speed Engine Controller, Heated Front Seats, 4-Wheel Anti-lock Performance Disc Brakes, Wheels: 20" x 9.0" Aluminum, Black Brake Calipers, Steering Wheel Mounted Shift Control, Dodge Performance Pages, ParkSense Rear Park Assist System, TRANSMISSION: 8-SPEED AUTOMATIC 8HP70 Auto Leather Wrapped Shift Knob, 230MM Rear Axle, Autostick Automatic Transmission, Tip Start, COLD WEATHER GROUP Heated Front Seats, 180 Amp Alternator, Heated Steering Wheel, ENGINE: 5.7L V8 HEMI MDS VVT. Dodge R/T with Destroyer Gray Clearcoat exterior and Black interior features a 8 Cylinder Engine with 372 HP at 5200 RPM*. Serviced here, Non-Smoker vehicle.